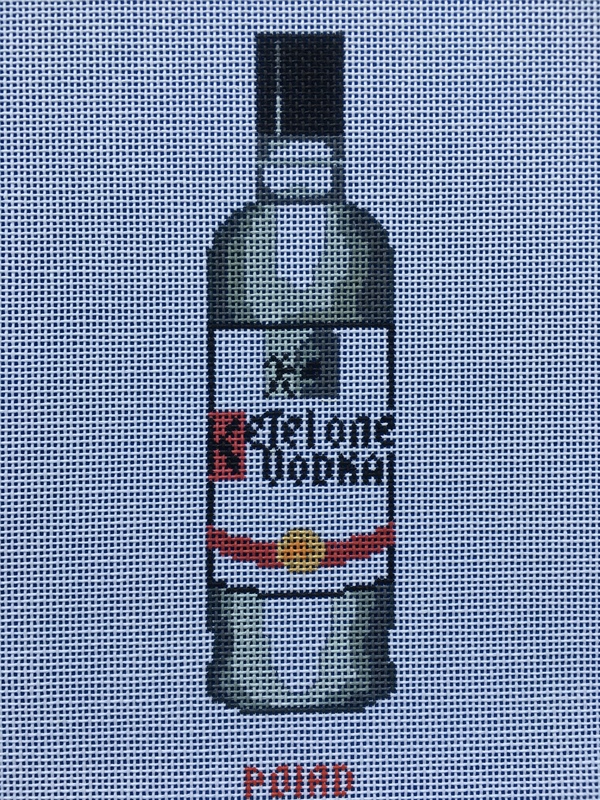 Stitch this fun piece while you enjoy your evening cocktail. Painted on 18 mesh. 1.75" wide and 6" tall. This can be made into an ornament or stitch some background to make it a fun pillow or wall hanging. Bonus points if you hang it over your bar!